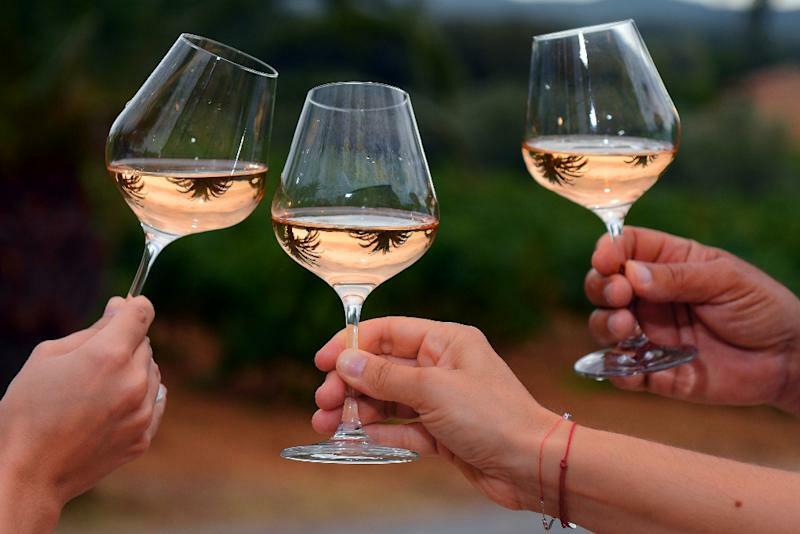 Paris (AFP) - Even an occasional glass of wine or beer increases the risk of health problems and dying, according to a major study on drinking in 195 nations that attributes 2.8 million premature deaths worldwide each year to booze. Compared to abstinence, imbibing one "standard drink" -- 10 grammes of alcohol, equivalent to a small beer, glass of wine or shot of spirits -- per day, for example, ups the odds of developing at least one of two dozen health problems by about half-a-percent, the researchers reported. "But at the global level, that additional risk of 0.5 percent among (once-a-day) drinkers corresponds to about 100,000 additional deaths each year," said senior author Emmanuela Gakidou, a professor at the University of Washington and a director at the Institute for Health Metrics and Evaluation. An average of two drinks per day, for example, translated into a 7.0 percent hike in disease and injury compared to those who opt for abstinence. With five "units" of alcohol per day, the likelihood of serious consequences jumps by 37 percent. "The evidence shows what the evidence shows, and I -- like 2.4 billion other people on the planet that also consume alcohol -- need to take it seriously." 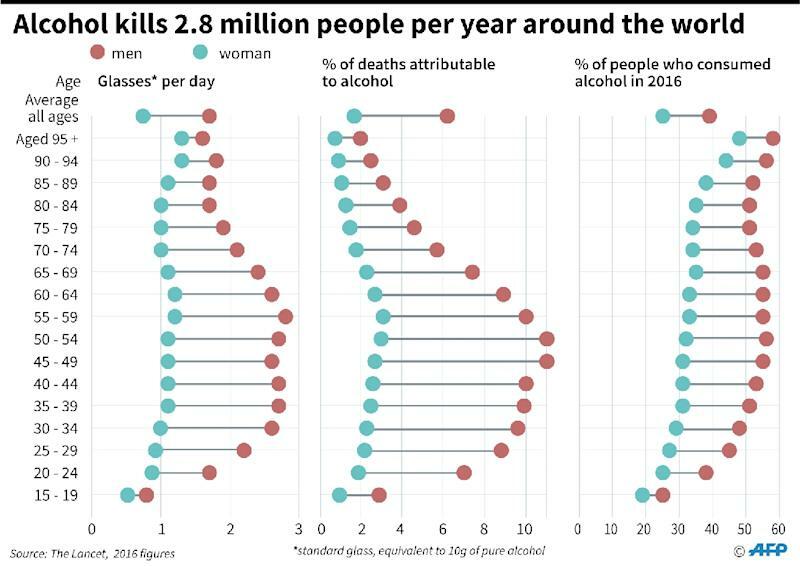 Overall, drinking was the seventh leading risk factor for premature death and disease in 2016, accounting for just over two percent of deaths in women and nearly seven percent in men. But in the 15-49 age bracket, alcohol emerged as the most lethal factor, responsible for more than 12 percent of deaths among men, the study found. The examination of impacts drew from more than 600 earlier studies, while a country-by-country tally of prevalence -- the percentage of men and women who drink, and how much they consume -- drew from another 700.